Why creating a new SEO plugin? Why use a new SEO plugin for my WordPress site? Why are SEO Plugins Blind? But why do you need another service that imitates a Google Bot? WP SEO plugins and the popularity of your pages? How To See With Google Eyes? How to use WPSC to measure the indexes to optimize for position 0 on a Google SERP? The 0… position called like that when Google answers the visitor’s question directly before presenting them with advertisements and classic results. A box can be displayed in seven forms: Featured snippet, Knowledge Panel, Image pack, Site Links, Related Question, Ad and Shopping Result. 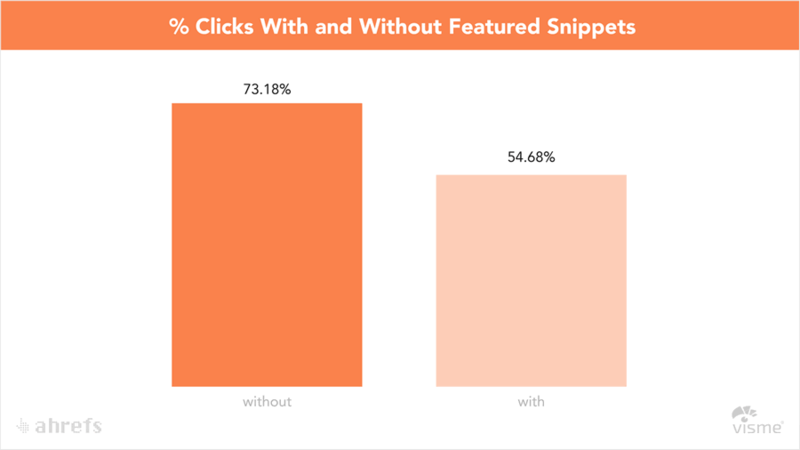 These boxes are strategic because they drastically reduce clicks on classical results. 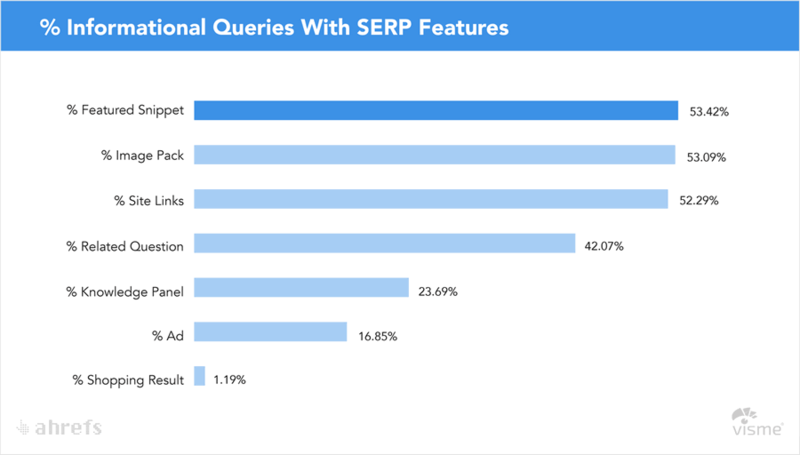 featured snippets capture 20% of clicks on a SERP. With Patrick’s video you can see how you can quickly optimize content to meet the criteria to become featured snippet. Again, it only works for pages that meet the quality criteria sufficient to appear in a TOP 10. RankBrain is the latest logic that Google uses to learn how to filter results. RankBrain is the last layer Google uses to filter results. There should be a training course entirely dedicated to the subject. We don’t know how to “optimize” for RankBrain, because it’s an artificial intelligence algo that learns from users’ requests. On the other hand, one thing is certain: you have clues to better understand what people are looking for in certain queries. And these clues you can integrate them in your pages… to increase your positions. Today, I’d like to show you a quick video about RankBrain. Just one small tip: RankBrain is a layer where Google interprets the intention of the search that the person is doing. Basically, he will replace the pages to try to meet the demand. There are several forms of questions for example: how? Why…? With variations in the way of expressing something that will actually get the same pages. And this, I’ll show you in another video how we can work this with the plug-in. What I just wanted to show you, if you go to “Search Tools”, all the results “” and word for word”‘. The “word for word” option is the ranking filter that Google offers without its RankBrain algorithm. Here for example, we have “Moz”, iblogzone, a Youtube video that comes from Moz, the Wordstream site, Online-Sales,… in fact, if I say go back to the RankBrain search, you see in fact that there are a whole series of objects that have disappeared. There’s the Moz website, a Google plus thing that was shared three days ago. The video’s missing. It’s number 16. If we look after the categories, news, images, video… we see that in the intention, Google prefers this RankBrain algorithm annotated in the case of this request. In fact, freshness and recency are more important than didactic content such as video and images. It can be interesting to compare the two when you have a query to optimize. You will compare the word by word search to see what the criteria are based on, so let’s say historical, words, authority, how Google draws its page. Then you have a kind of overlay for RankBrain that will give the way Google interprets the intent of the query. There’s a lot to talk about. I’m not necessarily the guru, the great specialist in that logic, but by showing you the example on this video, you can see how we search and see what Google is waiting for to classify content on the search in question. It’s up to you after adapting your content and logic. But one important thing, and I’m going to conclude on this, is that with this, you’ve understood that a page for a keyword is over; it’s logical that it doesn’t work anymore. That’s why the WP search console plug-in is so useful to be able to optimize a whole series of words and word combinations on the same page to answer this question. This is an essential asset that you have to get your page sorted. The importance of your introductory text can be extremely useful when you want to place additional expressions on which you want to classify the page. Be careful, this rule works well on pages that already meet Google’s “quality” criteria. It’s a bit of a “icing on the cake” feature that spreads out the possibilities of classifying a page whose foundations have been well adjusted. In the 200 criteria used by Google, there is an ON-PAGE optimization rule that advises you to put your keyword at the beginning of your text. How to optimize a page? The first part of page optimization is the “ON-PAGE” area. You have Google Search Console information… or sometimes no keywords used. Mirroring you have Mitambo Search Console information that allows you to understand the page’s strengths and weaknesses. One of the important exercises to do is to look for variations of searches on which the page is already classified (or could be classified). Then choose the keywords on which you could put your energy. Here are 3 extensions that are very useful to help you in your searches to optimize a web page. Good discoveries and above all good work! I’ll show you the heart of the WP Search Console plug-in. The purpose of the plug-in is to bring back to the heart of the page the information that comes from Google Search Console, since it is the name of the plug-in, and another crawler, which will complete the information that Google brings to guide the shooting and information that will help optimize the page. Because in some cases, Google Search Console does not return keywords for a given page. So that’s not why we’re not going to be able to stay impotent on the directions to take to optimize the page. So we cut 2 sets of data to move forward quickly. So here’s an example, this page with the queries that come from Google. Simply click on the button on the right, and there is a call going to the service in question, and it returns the data. And behind here, we’re gonna have a series of words that are optimized. So there are 3 lines. The first line is for the main keywords. The 2nd is the list of optimized keywords on the page. And the 3rd line, these are the keywords that come from the link anchors that point to the page. Here I have the list of simple words, double words and triple words. So we have a series of keywords to optimize the page. The 3 words that are indicated here, and I do my research… I will find here my page which is first. I’m going to start playing by removing the keywords, and look at the different logics under which my page is ranked. That’s part one. And in the tabs, you can see that there is a list with all the internal links to my page. Here I find my anchors of links. If I want to change my link anchors, I know which pages I need to go to to change those links. And I can add others to change the importance of some words. Here I have all the links that come out of my page. So I can try to understand which link sources are coming out of my page, my Template. See what I can delete or add to improve the logic. There is also a 3rd zone which will show you all the possibilities of internal competitions. So pages that have the same title, duplicates titles, duplicates description… so the same duplicates page. Sometimes these are URL problems. Multiple URLs for the same page. And we have a system that is specific to our service, which will show you pages that are optimized for the same keywords. Somewhere, which will compete somewhere on the same keywords. So here, that’s the really big part of the plug-in. We really bring it to the heart of WordPress, to the heart of every page, the list of all the keywords that come from Google Search Console. We ourselves bring a series of complementary keywords. And so we can have guidelines to improve the content of the page. If you have a site with a lot of content, you can really reboot the pages very, very easily, review the keywords or the structure very clear to be able to really give a little boost on it. Or, even if you create new content, you can quickly optimize it. I’ll take one last example, here, by taking this page. So a service presentation that is duplicated. I’m just going to click on the Google query, and I’m going to click on the Mitambo service call. And so I end up with duplicated content. So I can search here:”detected content, kill SEO”. For example, I could do a search like that. And here, here, weight and keyword that are set up here, the page here is first. Mitambo analyzes the relevance of your keywords at the heart of incoming pages and links. Mitambo’s great strength is to offer you a keyword analysis that goes beyond the heart of the page. Relevance is a unique concept that guides you by showing you the relevant words that are used to index your page. Unfortunately, these words do not initially search for your visitors. But by understanding how they stand out from your pages and the links that arrive on your pages, you will be able to influence the relevant choice. Semantic optimization is the first part of the chess game. The authority of the pages will be the second half. In this video, I’ll show you the key element that you will use for page optimization: it’s the analysis of keywords by the MITAMBO service. So for that, when I’m in an article, I go to the “Keywords” tab if you’re in French. And you will see a box here called “Keywords (Mitambo)” in which you will see the keywords that are analyzed by the service. The first thing we have to do is to refresh the data even in this case, there is no data, so I refresh it. But if you’ve already done the operation before, and you come back and you’re sure there was, a crawl between the last time you came and the next time, you need to refresh the data to ask the service that gives it to you, otherwise you’ll always recover data that has been saved in your WordPress instance. Topic, the subject of my page, this ON-PAGE optimization, the main features of my text. The reputation of the links that appears here actually, which is simply the link inks that point to my page. And the strength of my subject here, I have the percentage that is distributed for the different words that are identified. So my perception which is above, it is the words here that appear in green that are common. So perception is really the meeting between what is optimized on my page and what the other pages of my page tell. Only the crossing of the two. So what we can do is, for example, I take the words that are there, I will use this extension soon. Maybe by the time you see this video, the extension will be available to everyone. So I choose my Google domain, I choose the keywords, I request my domain or part of my domain. You see, for the element I asked for, my page is 2nd:”detect, duplicate…” So I can change the order of the words, the element will come, but I can eventually say as the two sets of words are pretty close, I won’t have too many variations. But I can start taking it off. So here, beyond the semantic perception, we’ll see it in another video. The other important element is to identify the authority of my page, so the strength that my page receives in the creation of my site. I take an example with another page. I’ll take the first page here. So now I see that my article is already there, but I’m going to ask for a refresh of the page. I can start doing the same thing, I take the others… I’ll come back here, my page is first. I can try with page repetition, the page is first. “How, how, that…”, That we can take it off. “How, works, pbn, blogs,” that’s the front page. I can eventually remove “‘ pbn”, the page is 10th. Let’s try “private”, the page is first. So there you go! In fact, it’s a mechanism that works quite well. And this approach of being able to test the combinations, it allows you to quickly see which elements are missing and how you will be able to optimize them. So what’s interesting to those in the window plug-in here is that if you have the list of simple words… there’s a small error for the moment, but you’ll have the list of tags and HTML, titles titles, H1, H2 titles in which the word appears. You have the frequency of appearance of the word on the page, the density, the weighted density. The weighted density is precisely a point that is allocated to the word according to the fact that there is a Tag H1, H2, strong that is in a list. All this has an influence that makes it possible to weight the importance of the words and identify the 5.7 most important words of the page that will be used for the ranking of the page. It’s the same thing with double expressions:”pbn computer graphics” that happens 9 times,”private how”,”it works”,”how” that happens 4 times,”private blog”,”losing too much”. You have the same thing with the words triple:”networks of blogs”,”private blogs how”. If you have an expression that is too low, you know you need to make it stand out from the content of the text, you come back later in your article here. And you know that you have expressions to emphasize, either to put them in bold, or to write them down, or to add intertitles that will contain your expressions that are there. It’s going to be that kind of work of putting in place the words you want to see come out. The second work that needs to be done is the internal links to your page. It’s to see how the link anchors are generated. Are these links you created manually, are they automatic links? For example, the title of the article that is reproduced on category style pages in a widget of article suggestions, finally, all these kinds of items there. You will see exactly where these links are placed, how they are generated, and what you can change. Sometimes you can change it by hand, sometimes you’ll need technical support because you have to change elements in the site code, but the combination of both is really very important.